"I lost vision due to a head injury and was told that I would never drive again. I had a homonymous hemianopsia. I hear that Dr. Huggett specializes in my condition so I went to him. Over the next few months he prescribed special field expansion eye glasses to made my visual field go from 90 degrees to 150 degrees! That was more than enough to make the DMV happy and me very happy! I got my driving license back and my life back thanks to Dr. Huggett!" "For years my eye doctors were telling me there was nothing more they could do for my vision and to come back next year. I thought there was nothing that could be done to improve it, that is what I heard. Then I saw a commercial for Dr. Huggett on TV and decided to try to see if he could help. The exam took an hour and by the end of that hour I was reading!!! I still cannot believe it! He made a trial pair of glasses in the prescription that he determined would work and I was able to try it right there. I was so happy to try it before I purchased it. I have been using them for a while now and they are working great!" "I didn't understand how much lighting can help with my vision until I had my low vision examination with Dr. Huggett and his staff. There are many types of lighting sources now and some work better than others. I didn't want to buy something and find that it didn't work. During my examination Dr. Huggett showed me the best lighting and it just so happened it made the difference between me not reading and being able to read again! I didn't even have to change my glasses prescription and that was such a surprise!" I just want to read! "I am a former veterinarian and have been suffering with macular degeneration (AMD) for years and was told there was nothing that would help. Nothing. I heard about Dr. Huggett from a friend who he helped greatly so I went to see him thinking that maybe it would be a waist of time. But I was shocked when I was reading the newspaper within 35 minutes of the examination. He personally determined what I needed in the low vision exam and put it together for me to try right there and I was amazed! Thank you Dr. Huggett!" All I wanted to do was see faces! "Dr. Huggett asked what was on my 'wish list' to see better. All I wanted to do was see faces across the room, and maybe TV, and maybe my preacher in church. My special bioptic eye glasses allow me to do all of that!" I am so thankful! I was told there was nothing that would help my vision by my retina doctor. But now I know that was not true. I wish I had heard about this sooner." Note: Dr. Huggett is so sure he can help your functional vision that a trip to see Dr. Huggett will not cost anything out of pocket for his services if he cannot improve your vision! That is his promise. "I needed to see color for my job and had no idea there was anything available that could help!" At the Low Vision and Binocular Vision Clinic of Florida I found that Dr. Huggett was able to examine me and prescribe lenses that would allow me to pass the color test. He made the glasses and when he gave them to me we went outside to see what I could now see and what a difference! I could see thing that I never was able to see before and the colors where so vivid! Thank you Dr. Huggett and staff. I just wanted to see faces again! 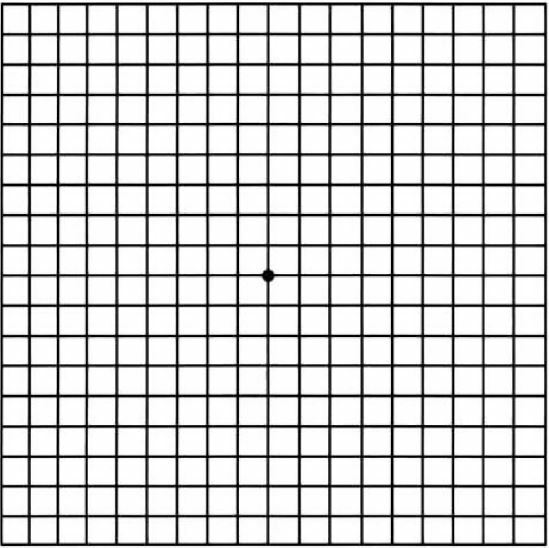 I have low vision and lost much of my vision in 2014. My regular eye doctor said I should see a eye doctor specializing in low vision. So I went to see Dr. Huggett and not only did he get me to see faces but TV and reading regular print! I cried because I never thought I would read again! I have a special pair of glasses for seeing in the distance and another for reading. They are high powered telescopic glasses and I love them.